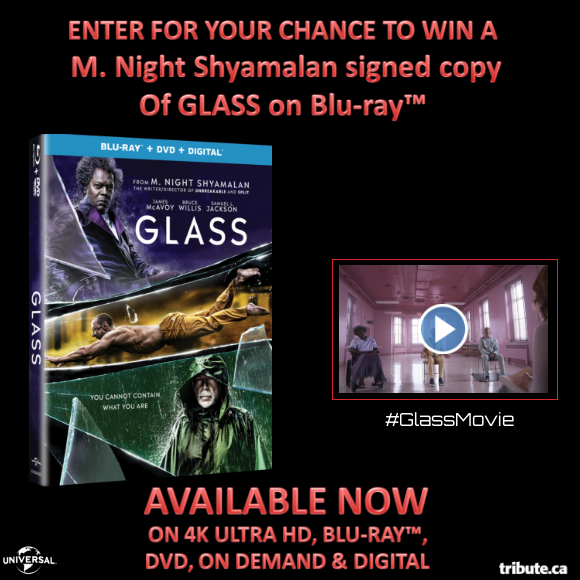 Access to the “GLASS Blu-ray” contest is obtained by visiting the Tribute, FrontRowCentre, EdmovieGuide, or WinnipegMovies web site(s) and clicking on the “GLASS Blu-ray” contest banner. Enter to win a copy of "GLASS" on Blu-ray signed by the Director M. Night Shyamalan. Available now on Blu-ray & Digital. In the movie "GLASS" what is the name of the character played by Bruce Willis?